The Barley Barn at Slamseys is a multi-use Grade II listed barn on our working farm in Great Notley. Half the barn is dedicated to our printmaking studio and the other half is available to hire from February until September. The barn is not available to hire from October until early January due to our Christmas Shop opening. 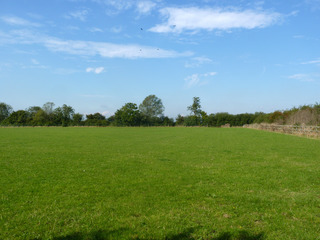 The barn is available to hire weekdays between 08:00-18:00. Prices start from £25 per hour. TO BOOK: Click on Full Details below, complete the attached form and return to info@slamseys.co.uk. 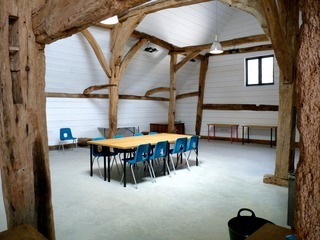 The Barley Barn can accommodate groups of up to 40 people and there is plenty of free parking on site. 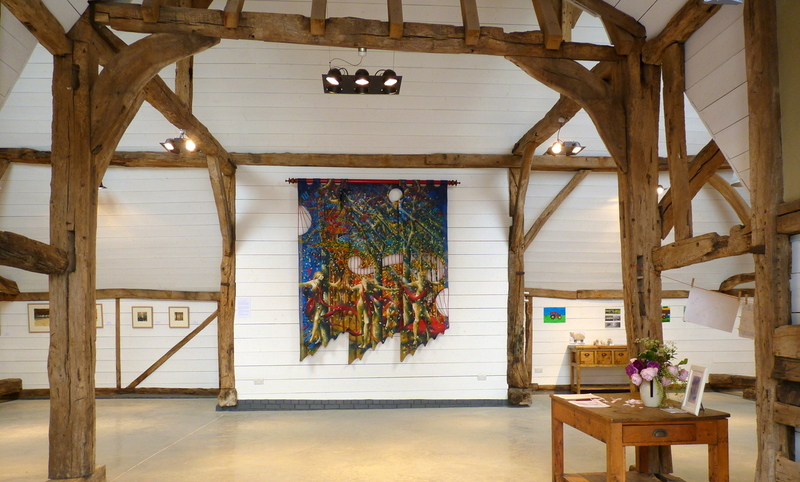 The barn is ideal for corporate and business events, including workshops, talks, art groups, demonstrations, training, meetings, photo-shoots and filming. The barn is not suitable for parties or private events, as there is printmaking equipment in the barn. The barn features two large trough sinks, tables and chairs. The Meadow at Slamseys is available to hire for commercial, business and artistic projects and events, including lawn art, sculpture exhibition, photoshoots and filming, markets and events. The Meadow can be booked up to one year in advance of your event. Not suitable for commercial music festivals. No overnight camping facilities, all guests and staff must be off site at the close of the event. Please note that due to weather restrictions some events will not be viable at certain times of year. Access is from 06:30-21:00 only. Bookable up to one year in advance. If you would like to hire The Meadow, please use the enquiry form below. Please state your preferred times and dates, the purpose of your event and an approximate number of people who will be on site as part of your event (guests/staff etc.) and someone will get back to you shortly. Please use the form below to let us know your preferred dates, the purpose of your event and approximate numbers of staff/guests and someone will get back to you shortly.